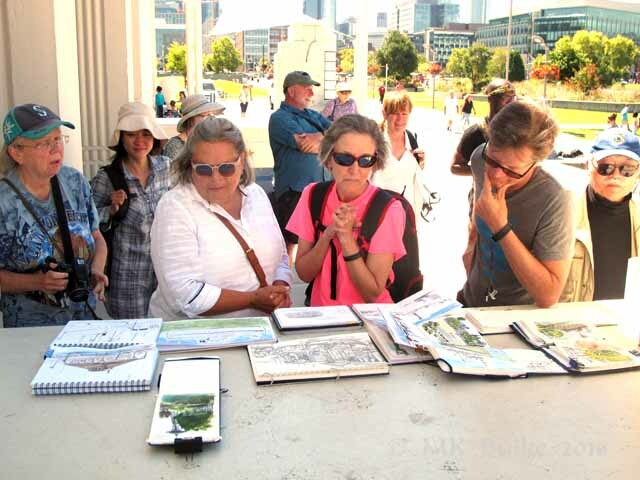 We met Friday (Aug 12) at South Lake Union Park. 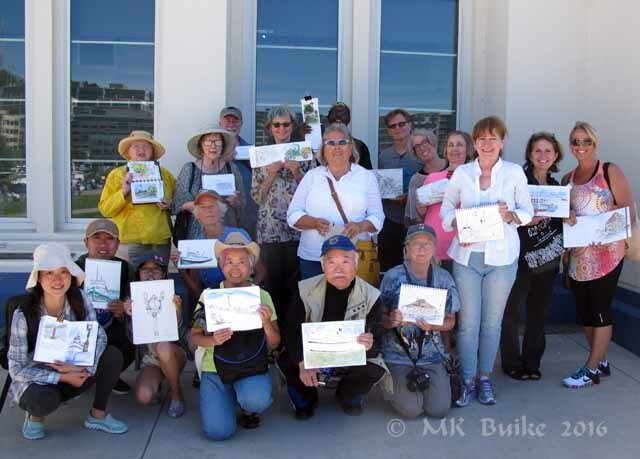 While the afternoon temperature climbed to over 90 degrees, our morning sketching time was sunny and comfortable. It was another perfect Seattle summer day. We welcomed Tina back from cold and rainy England! 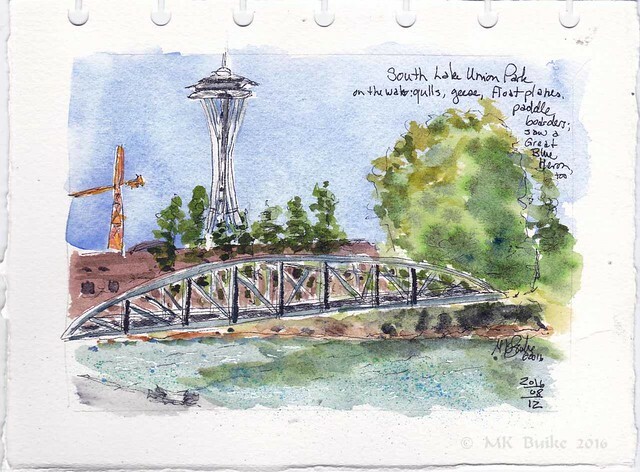 I first sketched a view of the bridge. During my earlier walk around, I'd seen a Great Blue Heron on it! By now it was 1145 and getting warmer. 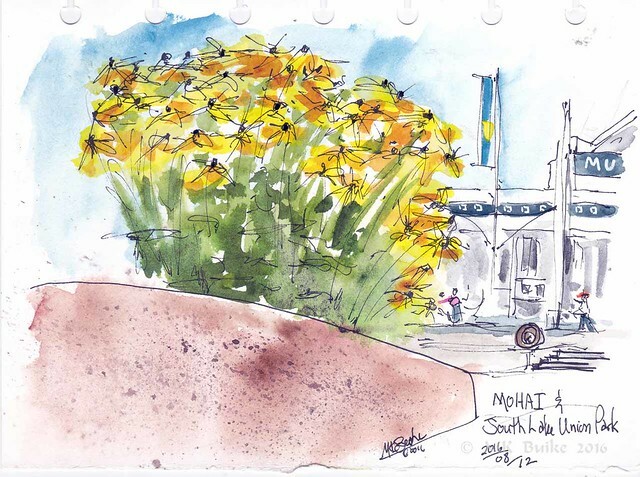 I sat in the shade to do this quick sketch of some bright flowers with a bit of the Museum of History and Industry (MOHAI) in the background.